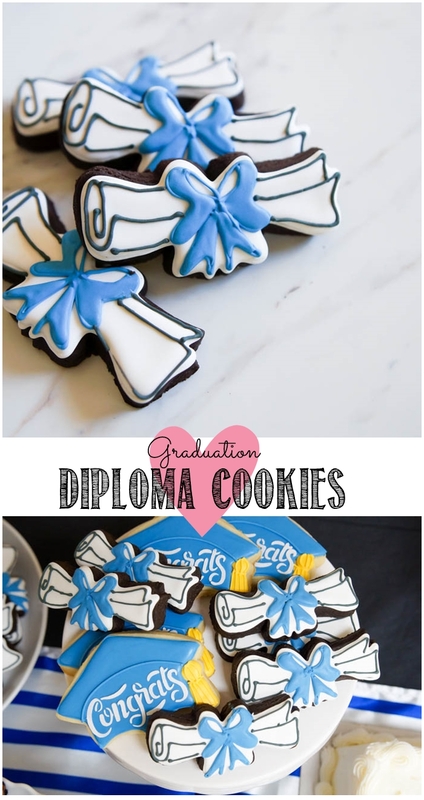 I saw this darling graduation scroll diploma (with bow!) in Sweetleigh Printed's etsy shop LAST YEAR. As much as I was dreading graduation, I could not wait to use this cutter. Because Jack's class was small, because I love these kids, because I'll only get once chance to do this, I made one for Jack to give each of his classmates at graduation. Oh, and I made one for Jack, too. 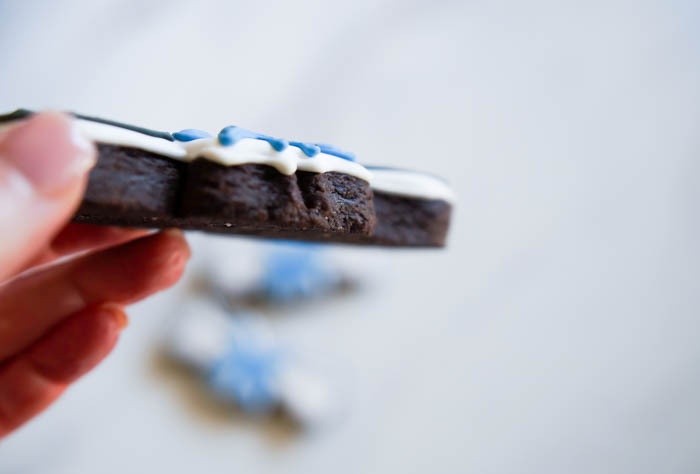 For the cookie itself, I make a dark chocolate cut-out cookie. 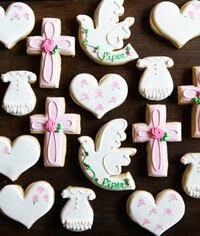 It's just an adaptation of the Mocha Cut-Out Cookies from Decorating Cookies Party. 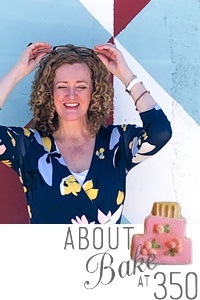 (If you don't have the book, Amazon has it for a bargain right now...that one cookie recipe is worth the price of the book, I promise. "Aunt Bridget, is this a brownie that is a cookie?" Lately, I've been rolling my cookie dough to 3/8" instead of 1/4". I don't get as many cookies per batch, but the thickness is worth it. 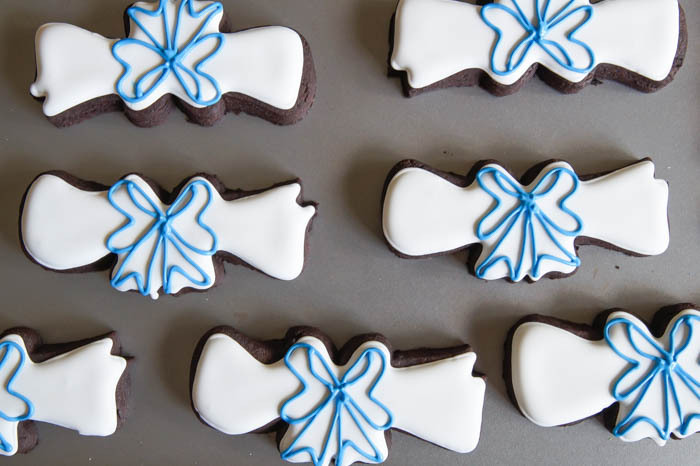 For the bows, I followed this tutorial over on Lilaloa. 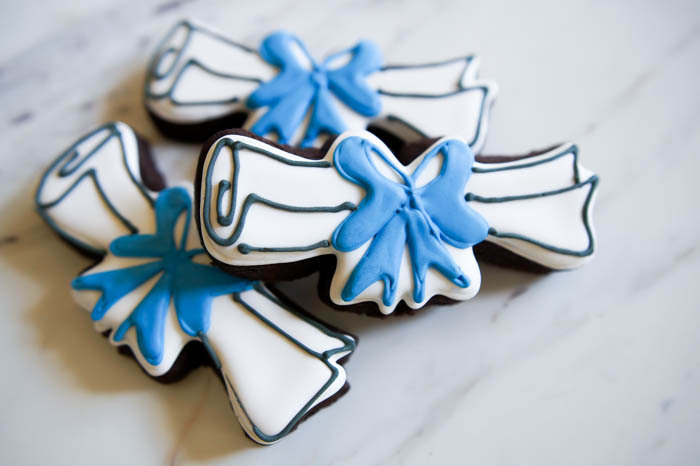 I love, love, loved the idea of icing the cookie completely in white, then adding the bow on top for dimension. 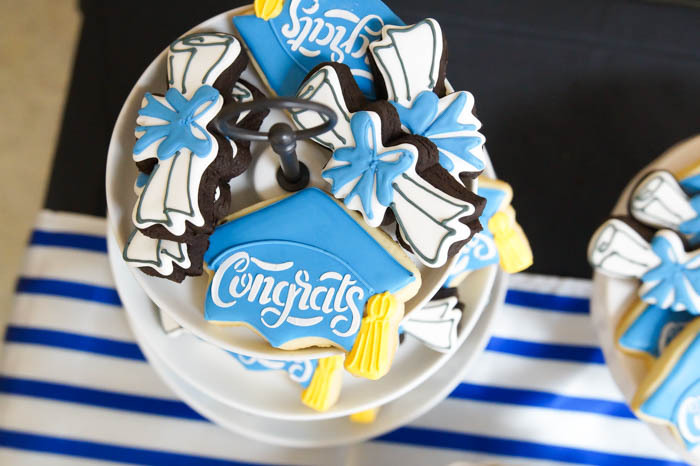 I used the same blue as for the graduation cap cookies and the same technique for outlining and flooding. Here's the cookie recipe. You'll want it. 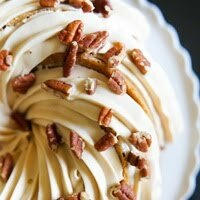 Pssst....there IS espresso powder in this recipe, but the espresso just enhances the chocolate flavor. Whisk the flour, cocoa, and baking powder together. Set aside. 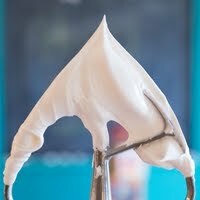 With an electric mixer, cream the butter and sugar together for several minutes, until combined and fluffy. In a small ramekin, stir the espresso powder and vanilla together. Add the espresso mixture and egg to the bowl and beat until mixed. Scrape down sides and bottom of the bowl. In three additions, at the flour mixture on low speed. Scrape bottom and sides of the bowl. Divide in two and form into discs. Wrap in plastic wrap and refrigerate for 30 minutes. Combine flour and cocoa powder for rolling. Coat the rolling surface, rolling pin, and cookie cutter. Roll the cookies to 3/8". I love Do Stix for rolling and simply stack the 1/8" stick on top of the 1/4". 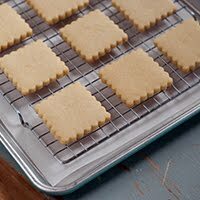 Freeze the cut out shapes for 5-10 minutes before baking. 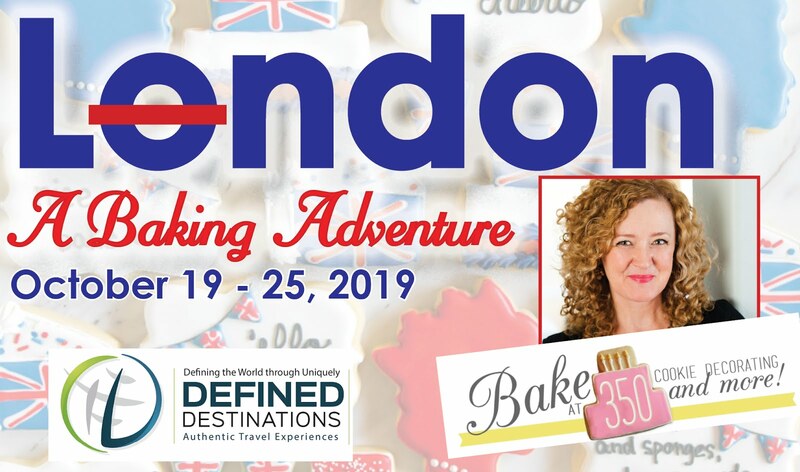 Depending on the size of the cutter, bake for 9-12 minutes, or until done. Let sit on the cookie sheet for 2 minutes before removing to a cooling rack to cool completely. Dark chocolate cookies. Graduation diploma with a bow on top. A match made in graduation heaven. Wow, congrats, you deserve it! Oh my God. They are so cute and adorable. You have made such perfect bows and colors are beautiful and elegant. Thanks for sharing the recipe. 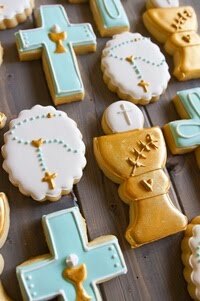 These cookies look so sweet and nice. Congrats for the graduation!